Psychosynthesis has its roots in psychoanalysis. 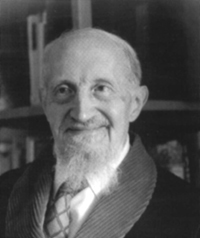 Before founding psychosynthesis, Dr Roberto Assagioli (1888-1974) was a member of the Freud Society in Zurich in 1910 and together with various other pioneers of the psychoanalytic movement was among the first to bring psychoanalysis to Italy. A contemporary and student of Freud, Assagioli was more aligned with Jung’s approach to psychology. Psychosynthesis is a liberating discipline – a map to help navigate human experience, and a toolbox for life. The Psychosynthesis approach affirms the reality of spiritual experience as an integral part of human experience. Psychosynthesis acknowledges our individual uniqueness and our connection to the whole. Where suffering can be caused by a loss of contact with who we really are, the psychosynthesis approach seeks to restore and renew this contact. The first step in psychosynthesis is the acquisition of self-knowledge and the ability to move within our inner world with ease and confidence. For this to happen, we must first enter into relationship with those feelings, thoughts and memories that society tends to alienate us from. We can then contact aspects of ourselves we’ve repressed because we found them too painful to experience, or because they conflict with the conscious image we have of ourselves, or with the dominant cultural norms. Instead of being consistent and unchanging, in this work we find ourselves to be a mix of contrasting, changing elements, which in psychosynthesis are termed subpersonalities. The tendency towards synthesis is inherent within us. Rather than being an artificial imposition of techniques, psychosynthesis unblocks and stimulates a process that’s more closely allied to us than any other: becoming who we are.